Just think...no more awkward moments! Let's be honest, video is where it's at! Videos catch and grab people attention. Sharing Jesus doesn't have to be a one and done, we follow up and provide a way to disciple. What Can Encounters of Hope Do For Your Ministry? 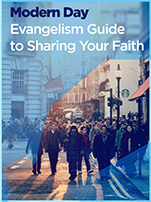 Does your congregation think that evangelism is something only for those with the gift of evangelism, or do they understand biblically that it is for all Christians? As a church or ministry, your role is to create disciples and empower people to share their faith. We have created an easy way to do this that is relevant and applicable within our modern day culture. The Great Commission calls us to spread the Gospel to all the world, but a lot of times, for one reason or another, fear holds us back. We have made it so easy, now you don’t have an excuse! There doesn’t have to be an awkward conversation and you don’t need a seminary degree. You can have as much or as little interaction as you wish. All you have to do is buy a gift card and give it to someone. We and MOST importantly God, will do the rest! Having a hard time thinking of the WHERE and HOW? No Worries, take a look at some of our ideas! Wash cars for free- accept no payment and tell people what church you are from and why you are serving them. When members of the church feel led, they can give an Encounters of Hope gift card to someone’s car they are washing. Deliver food baskets to families during holidays and include an Encounters of Hope Gift card, meet a need with the extra cash, but also share the hope you have found in Jesus. Give an Encounters of Hope Gift Card to the car behind you in the fast food line. The cashiers are usually super pumped to help out. Another idea is to give a gift card to the cashier working the window. Or both! Debunk the stereotype that Christians are the worst tippers! Go out to eat on a Sunday, during the after church rush and bless your waitress with an Encounters of Hope gift card! This is one of our favorites and has become the norm anytime we go out to eat. Small groups do an evangelism study and challenge each individual to share their faith using an Encounters of Hope gift card when finished. Go in groups or as individuals. Give them to strangers or people in their sphere of influence, offering prayer or conversation as the Holy Spirit guides. Make sure to have a debrief meeting to share all the amazing encounters! If you have a door-to-door outreach ministry, but haven’t been able to get out the message of Christ to those you are trying to reach. Simply knock on the door with an Encounters of Hope gift card ready, hand them the FREE money, when they activate the card, the Gospel message is shared. Your next job is to revisit the home to follow-up! I was enjoying a walk with my twin daughters laughing taking in every moment.I get very few days to spend with them. I work two full-time jobs to make ends meet and take care of them and their 10 month brother. But still make time to be the best daddy I can be. Hiding the worry and stress that I deal with everyday. Always with a smile, joke,hug and an encouraging word. Then a lady and a gentleman stopped me and gave me a $100 gift card! All they asked for was to pray for me. I have been in a very dark place for a long time and who would of thought that one simple and selfless act could help renew my faith! GOD is good. I was pumping gas on the phone talking to my landlord about me not having all my rent and how I will try not to be late anymore, when this lady comes up and says Merry Christmas and walked away. I thought it was just the rest of her gas card so I said “thank you, you too”. The next day after going to the website and seeing what it was and where it came from. I was touched. That day my co-worker asked if I could buy him lunch. I thought to myself someone blessed me so I can bless someone else. I let him know how I came into this money and he was truly grateful. Thank you so much for what you and Encounters of Hope are up on the streets for God’s Kingdom! It is such an effective way to spread the most important thing – love. I was so blessed by the gift card, and was so encouraged how God allowed me to encounter an older woman the very same day who mentioned to me in conversation about how she was having a rough time financially. I received a gift card randomly at a Chickfila drive thru just before Christmas. It truly made my day and made my soul shine! I did log in the card and make a few purchases as Christmas gifts, but gave the card to someone less fortunate with the remaining balance. Thanks for all you do and GOD BLESS!